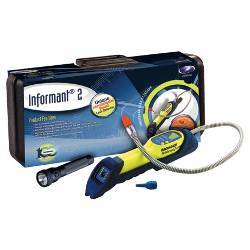 Bacharach Informant 2 Leak Detector Kit for Combustibles. Quick Change Sensors. Audible Indicator. Dual LED Displays. Comes with color-coded probe tips, instruction manual, 4 AA batteries, 5 filters and a soft carrying case. 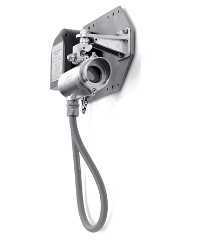 CE Mark and UL Approved for Class 1, Div 1 Group D.
> LEAK DETECTORS > COMBUSTIBLES : 8 Items found. 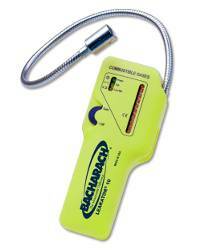 Bacharach Leakator Jr Combustible Gas Leak Detector for Acetone, Acetylene, Benzene, Butane, Ethanol, Ethylene Oxide, Gasoline, Hexane, Hydrogen, Industrial Solvents, Isobutane, Methane, Naphtha, Natural Gas, Paint Thinners and Propane. Includes gas sensor, flexible probe, batteries and instruction manual. Compact Design. One button operation. ABS Housing. CE Mark and UL approved for Class 1 Div 1 Groups A, B, C and D.
Bacharach Leakator 10 Combustible Gas Leak Detector for Acetone, Acetylene, Ammonia, Benzene, Butane, Ethanol, Gasoline, Hexane, Hydrogen, Industrial Solvents, Methane, Naphtha, Natural Gas, Paint Thinners and Propane. Includes carrying case, gas sensor, flexible probe, and instruction manual. Low maintenance and Easy to use. Up to 30 hours of continuos operation. ABS Housing. 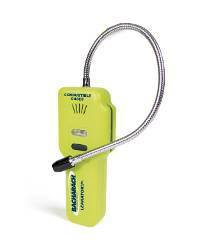 CE Mark and UL approved for Class 1 Div 1 Groups A, B, C and D.
Bacharach Informant 2 Leak Detector Deluxe Kit for Combustibles. Quick Change Sensors. Audible Indicator. Dual LED Displays. Comes with color-coded probe tips, protective rubber boot, flashlight, instruction manual, 6 AA batteries, 5 filters and a hard carrying case. 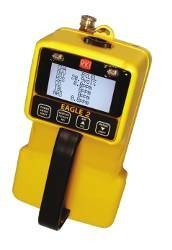 CE Mark and UL Approved for Class 1, Div 1 Group D.
RKI Instruments Eagle 2 Portable Gas Detector with infrared (IR) sensor for Methane (CH4) 0-100% LEL/0-100% Vol. 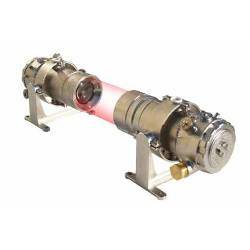 Alkaline unit with 18 hours capability. Auto calibration. 2 alarms. 95dB Buzzer and 4 high intensity LEDs. RFI, EMI, chemical and weather resistant enclosure. CSA appoved for Class I, Groups A, B, C, D. IP64. Honeywell Sieger Searchline Excel Short/Medium/Long range system 120m to 200m complete TX and RX (Transmitter and Receiver) kit. Includes mounting plates, mounting brackets and sunshade, 4-20mA output. UL or CSA approved versions. Optional termination, mounting accessories and XNX transmitter for relay, Modbus, Fieldbus or HART outputs. Honeywell Sieger Searchline Excel Short/Medium/Long range system 120m to 200m complete TX and RX (Transmitter and Receiver) kit, installation hardware kit, SS316 mounting plates and brackets, 1 junction box Current Source, flex conduit and sunshade. 4-20mA. ATEX approved. 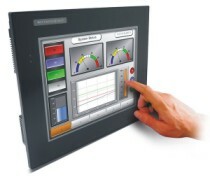 Optional XNX transmitter for relay, Modbus, Fieldbus or HART outputs. 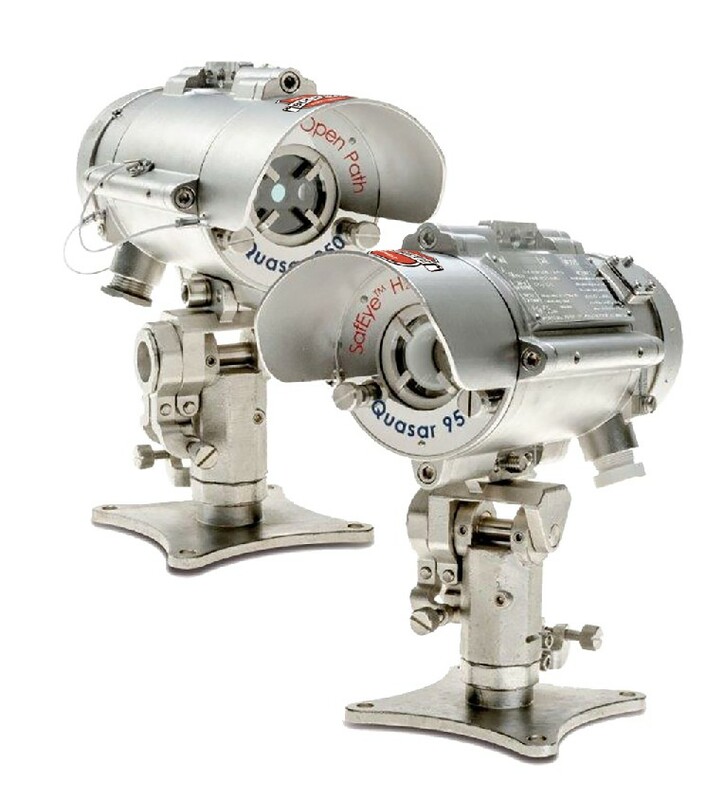 Spectrex SafEye Quasar 900 open path IR gas detector, transmitter and receiver, for detection of hydrocarbon gases including alkanes (methane, ethane, propane, butane, pentane, hexane, heptane and octane) and ethylene. Up to 660 ft (200m) path length. Very high speed response. 0-20mA analog output with HART capability. RS485 Modbus. 316L Stainless Steel housing and tilt mounts. IP66 and IP68. FM/FMC, ATEX, IECEx, GOST R and Inmetro approvals. Includes transmitter and receiver. ESP Safety TGAES Open Path Gas Detector for continuos monitoring of combustible hydrocarbon gas concentrations (0-5 LEL/m) (Detects Methane and most common hydrocarbon gases including ethane, propane, butane and propylene). Transmitter and receiver modules. Includes 4-20mA, HART and RS-485 Modbus RTU serial communication outputs. 316 stainless steel enclosures. Tri-color status LED. FM, CSA, CE and IECEx Approved. SIL2 Rated.